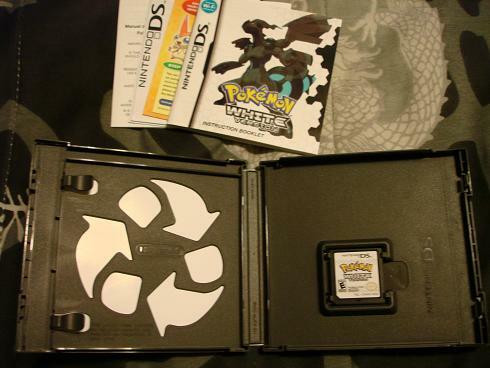 I picked up my copy of Pokémon: White when it came out on Sunday, and when I pulled out all the paper manuals that came with it, I was pleasantly surprised to see this recycle logo inside the case. (Commence the golf-clap to Nintendo for implementing this green-thinking procedure.) I checked some of my other DS cases to see if this was something new, and so far, it appears that it is. I will look further into this when I get the chance, but for now, I am satisfied by this simple and encouraging procedure.